A court order is preventing four Venezuelan journalists from Armando.info, three of them founders of the site, from leaving the country. The 11th Trial Court of the Metropolitan Area of Caracas issued the measure at the request of the Colombian businessman Alex Nain Saab Morán, reported site Runrun.es. From L to R: Joseph Poliszuk, Roberto Deniz, Alfredo Meza and Ewald Scharfenberg from Armando.info. 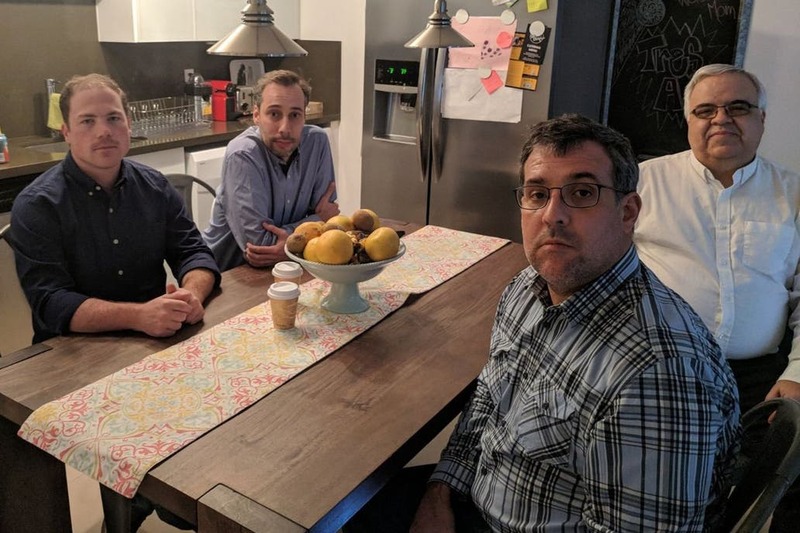 Roberto Deniz, Alfredo Meza, Joseph Poliszuk and Ewald Scharfenberg are currently outside Venezuela, so the judicial measure, according to them, would only prevent and postpone their return to the country. For security reasons, journalists decided to temporarily leave Venezuela in early 2018 as a result of the criminal complaint for continued aggravated defamation and aggravated injuria that Saab filed against them in September 2017. Poliszuk told the Knight Center, from Colombia, that he had planned to return to Venezuela in the next two months, however, he said that after the recent measure they will have to continue editing the site from abroad. The businessman sued the journalists from Armando.info after the publication of two reports by journalist Deniz on the site. These reports indicate the alleged financial link between Saab and the government of President Nicolás Maduro in the food import business for the state program of the Local Sourcing and Production Committee (CLAP). “his honor and reputation,” El Pitazo reported. On Aug. 5, Armando.info published another installment of the series of reports on the state program of the CLAP, and its possible privatization. Saab is also mentioned in this report. Scharfenberg, in an interview with the Knight Center, said that all of this only highlights the willingness of the counterpart to continue intimidating the reporters and, in general, to silence the publication of new journalistic revelations on Armando.info about his alleged participation in business with the Venezuelan State. "The measures already agreed by the court, and those that the counterparty has requested, seem impracticable," Scharfenberg said. "The ban on leaving, because, in effect, we are already abroad; and the prohibition of publication, because our server and legal entity are in the United States, unless it implies an open blockade of our site in Venezuela, more severe than we have been suffering for the past two weeks," he added. Between Aug. 8 and 13, 2018, both the sites of Armando.info and El Pitazo suffered selective blockades from state and private Internet service providers in Venezuela, according to a report from the Press and Society Institute (IPYS) of Venezuela. Without any notification from the service providers and no explicit court order, according to IPYS Venezuela, both sites were not available to their users for several hours during those dates. The freedom of the press watchdog described it as a violation of due process and a selective and indiscriminate censure against both media.